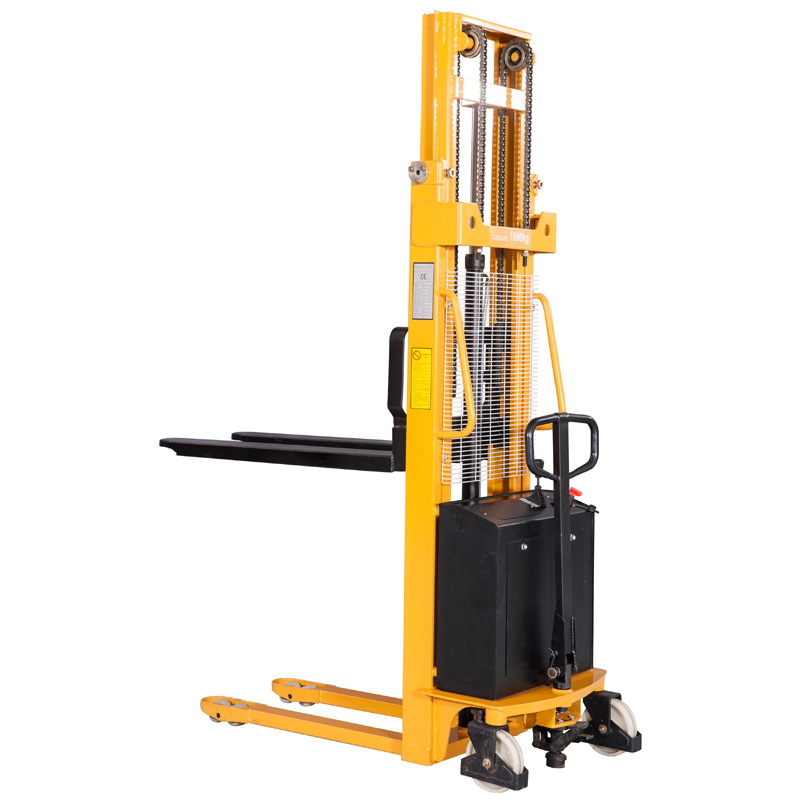 The Warrior range of stacking equipment has been designed, developed and built to give outstanding long service with minimum maintenance required and assist with all manner of lifting, stacking, de-stacking, pallet handling etc.. within industry and commerce. A sound long term investment! Our Warrior Semi Electric Stacker is electrically elevated and very easy to use. With its powerful hydraulics system it will lift your load and enable the operator to precisely position it as required. Whether it’s into a rack or onto a vehicle this manually operated stacker will make easy work of frequent lifting applications.